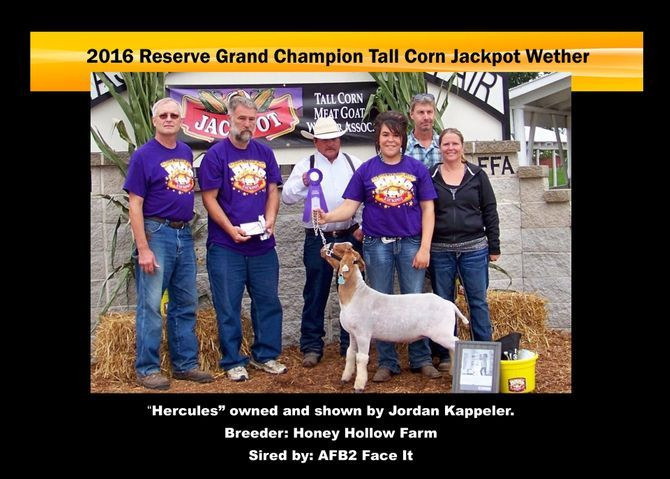 Honey Hollow Farm sells quality Fullblood and percentage Boer does, bucks and wethers on a small farm conveniently located off of I-80 in central Iowa. We started raising goats in 2005 with four does and a buck. 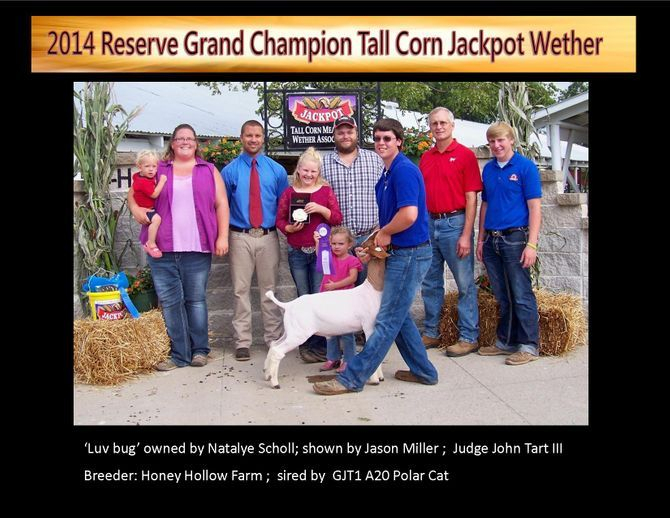 We currently have 40 breeding does including 20 registered Fullblood does and four registered Fullblood herdsires. 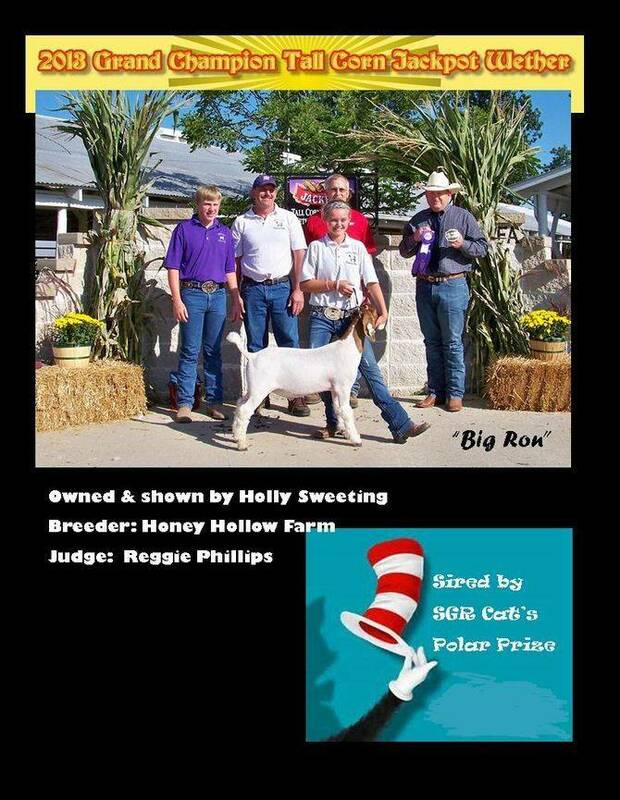 We are continually improving our program with winning genetics including Polar Express, Cat in the Hat, Captain Marvel, Ruger, EGGS, RRD Gauge, TLB Jack, Collateral Damage, Ryals Topbrass, HC C Checotah & Harley, 2Dox Luger, Dowen Hoss and others. 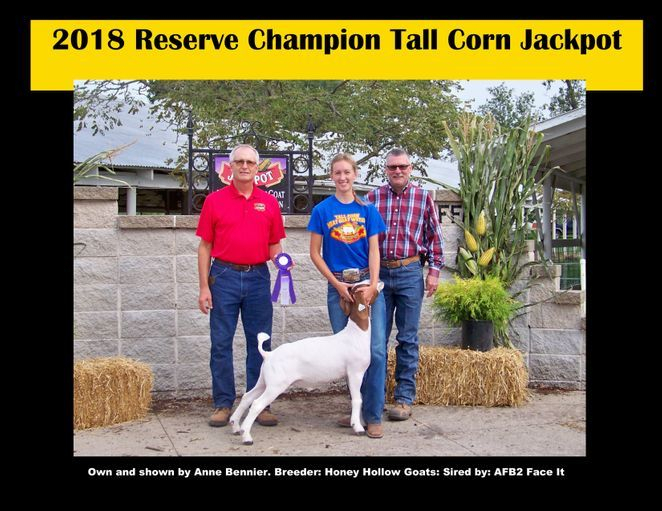 We are proud members of the Iowa Meat Goat Association, the American Boer Goat Association, Tall Corn Meat Goat Wether Association and the Iowa Honey Producers.